Do you have Swedish roots among your ancestors? Maybe you have some but not all the knowledge about your Swedish ancestors that emigrated from Sweden to start a new life in the US? To learn about your Swedish ancestry is fun and exciting but it also requires knowledge and time. If you are interested I can help you to find your Swedish roots! I take assignments as a Swedish professional genealogist at affordable prices and deliver high end products that will help you understand your Swedish roots. Find out about the Swedish part of your ancestry. Find living relatives in Sweden that you can contact and maybe visit. Identify from where your Swedish ancestors came in Sweden. Confirm family stories of your Swedish ancestors that have been passed down for generations. Learn about your Swedish surname. Confirm previous genealogy of your Swedish ancestors that you have inherited or done yourself. 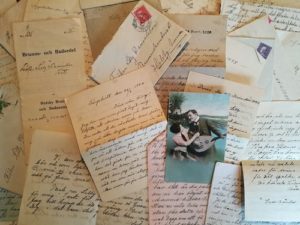 Need help to translate Swedish documents, letters or estate inventorys regarding your Swedish ancestors. Needs help to interpret your Swedish connection through DNA Ancestry or Family Tree DNA. All research on your Swedish roots is done in the Swedish archives and is delivered with complete references. Read more about me as a Swedish professional genealogist and the services I provide to help you discover your Swedish roots. Read also testimonials from my latest clients. Start your journey to discover your Swedish roots today! Hire a Swedish genealogist to find your Swedish ancestors!